Are you looking for the right location to build your dream home? 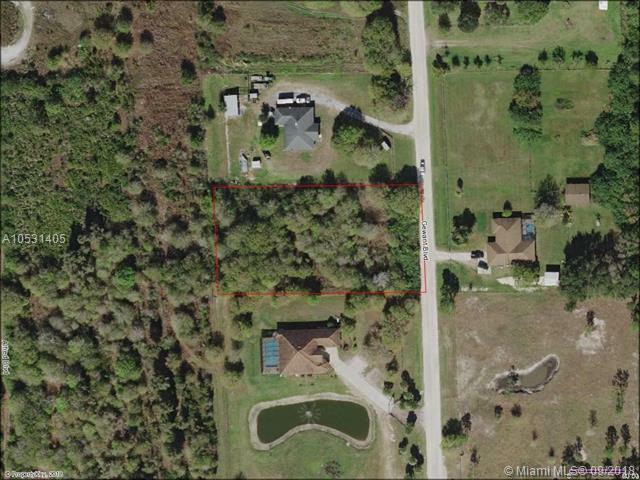 Charlotte Ranchettes in Punta Gorda could be your opportunity to build on this 1.25 acre wooded lot an ideal location to have a quiet home surrounded by nature. Zoned "AG agricultural, this is a place where you can have horses, cattle, poultry or grow crops, build a barn, workshop, pool or guest house, even a bed & breakfast. With no HOA/CDD & an "X flood zone, this lot is in an actively growing area & is surrounded by newly built homes. Minutes away from I-75/US Highway 41/Tamiami Trail, Gulf Coast beaches, golfing, country clubs, shopping, schools & restaurants. Most importantlynot on the Charlotte County Scrub-Jay parcel list. Drive by & dont miss out on this great opportunity to own your piece of the American dream!